How to Do the Dead Finger Trick. 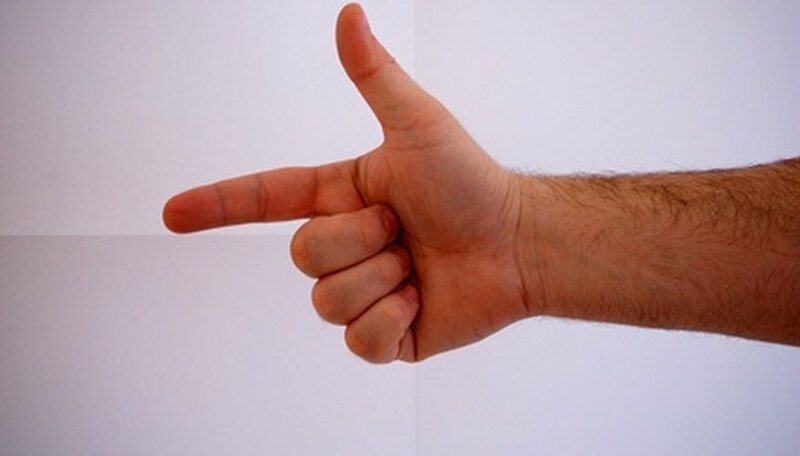 The dead finger is a trick you perform with a partner. It is supposed to give the unsuspecting bystander the sensation of touching a dead finger if you do it correctly. This is a great icebreaker for a first date as the fingertips are very sensitive. Find a partner to do the dead finger trick with you. Relax your reluctant assistant's nerves by telling him the dead finger trick won't hurt or harm him. Remove any gloves and rings from your and your partner's fingers and set them aside. Face your partner and put one of your hands against one of your partner's hands as if you are playing patty cake. Slowly pull your hands apart from your partner's leaving nothing touching but your index fingers. Relax the arms and body so that all the feeling is in the finger tips. Rub up and down your index fingers touched together with your opposite hand. Run the thumb up and down your index finger and the pointer finger up and down your partner's index finger. Use smooth, fluent motions to get the blood flowing. Experience the sensation of touching a dead finger. As the blood rushes downwards, the finger will feel dead. This will only work if you do it correctly. If you do the dead finger trick with a stranger make sure to wash and sanitize your hands before and after the trick.